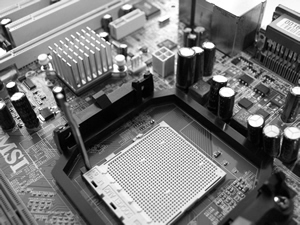 Computer repairs and servicing in Tavistock. Bring your PC back to life with a tune up. We can sort things out and get you back up and running with the minimum amount of fuss. If the problem can’t be sorted at your location, our workshop with diagnostic tools and technical support will identify the cause. "The only computers that are trouble free are the ones that remain in a box"
All manner of problems occur when you least expect them. Computers are a bit like cars when it comes to breakdowns. What may seem like a major problem may turn out to be a blown fuse or something just as simple. Unless you know where to look it will be a daunting process. We will find a solution to the problem. After a short telephone conversation discussing the problem we may attempt to resolve the problem via a remote help session, alternatively we may visit you or arrange the computer to be brought to our workshop (a collection service is available). We will establish the fault and advise on the cost of the repair. Workshop repairs start from only £21.00 including the VAT. Have a look at our prices page for more information. 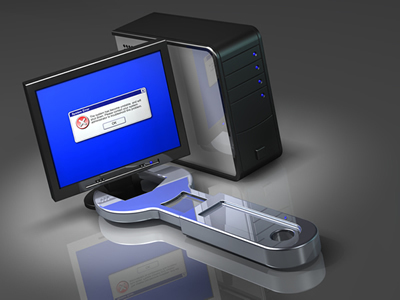 See our data recovery and backup page. A health check (tune up) will optimise your PC’s performance by correcting errors within Windows and the file structure therefore improving overall Windows efficiency. We will scan your system for viruses, update Windows security and drivers to the latest patches, check and correct registry errors and lost short cuts, clear out unwanted data and defragment your hard drive to improve application load time thereby reducing the likelihood of file corruption from occurring. Additionally we will run diagnostic and quality assurance software to check and test your motherboard, processor, memory and hard disks and provide a certificate of health. We recommend that a health check is carried out once each year ideally to coincide with your security renewal. Think of it like your car's annual service. RDCS workshop only. We aim to complete the Health Check and optimisation within a 24 hour period. There is normally a fixed charge for this service, however if we need to remove viruses/*malware/**spyware etc or repair a mechanical problem we will advise you of the additional cost. 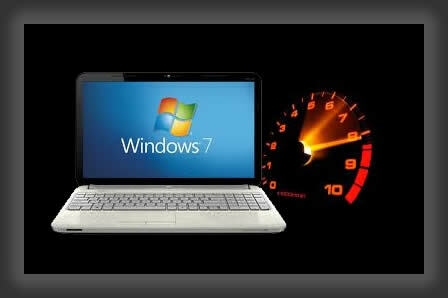 In some cases Windows becomes congested beyond fixing and a reload of the Operating System will be advised. *Malware - "malicious software" - software with clearly malicious, hostile, or harmful functionality or behaviour which is used by criminals to compromise and endanger individual PCs as well as entire networks. **Spyware - Software designed to monitor a person's computer activity surreptitiously and which transmits that information over the internet, again this can be used for criminal purposes.